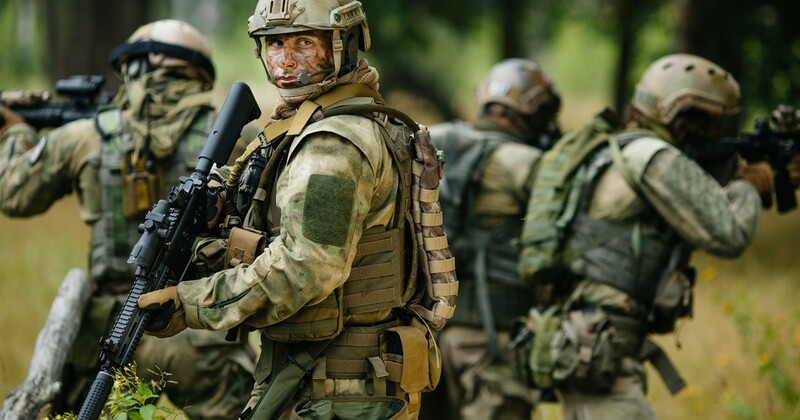 Airsoft is a tactical game where each player has a different role to play on the battlefield, this allow teams to deploy various styles and tactics in larger skirmishes and military simulation combat zones. Roles and duties are clearly defined and essential to the success of the game. These roles and functions for standard airsoft simulations are snipers, support gunners, grenadiers, rifleman, combat medic and designated marksman. Although this role is a firm favourite for beginners, this role is intended for those with more experience and higher-quality equipment and skills. To take up the role of the sniper without a good rifle and scope, it is difficult to achieve the distance shots needed to be an accurate and effective as a sniper. A good sniper will ideally be tactically placed in a position where they can pick off enemy targets to support the main team strategy. Some skirmish sites may not have slopes for stealthy shooting, so a good sniper should also be ready to take their enemies out alongside the main squad. Be Prepared: Your sniper’s choice in ammunition is crucial; pellets with better distance and accuracy is ideally what is required for a good sniper to be successful also review the weight of the pellets to make sure that the wind factor is minimised in skirmishes. As a support gunner, you can expect to get through around 600 rounds per game. Your key role is to provide cover fire and keep your enemy pinned down with heavy fire. The support gunner role is aggressive in nature and larger machine guns are required to be effective, high amounts of BB pellets will be fired as part of your team strategy. A good support gunner is aware of the enemy and make sure they feel under threat from your advances. You need to take cover and keep suppressing their movements with cover fire whilst your team makes their strategic moves. Make some noise: To ensure that your enemy is continuously aware of your presence it is of tactical value to hit metal covers where the enemy is hiding to create loud distracting bangs. As a frontline gunner, the rifleman leads the charge and often takes a hit. This means this position often sees the most action, ensuring a fast-paced, more intense skirmish. The rifleman is required to keep eyes on the enemy as they push the team forward, sweeping for traps, ambushes and generally making sure their team is safe. This role can also be dedicated to a scout, or in collaboration with one, either way, the rifleman will be at the forefront of the battle. No sidearm required: The rifleman doesn’t often carry a sidearm as they usually rely solely on their rifle. The pistol was only introduced for Spec-Ops style players to add additional strategic benefit. The grenadier who likes to blow things up must be an explosives expert. The grenadier is responsible for utilising explosives for the best possible tactical advantage against the enemy. They are placed in a support position; behind the frontline players and have a few key roles in the strategic skirmish. Their first focus is to break up large enemy groups by launching or throwing grenades to send them scurrying. They are also useful to flush out enemies from buildings if they are holding out somewhere. They also aim to intimidate. A true grenadier armed with a launcher is a force to be reckoned with and many groups will change their tactics if their opponent has one in the squad. Carry backup: Although the grenade launcher would be the weapon of choice it is also important to carry a sidearm as true a true grenadiers will get through their ammo at a quick pace. The combat medics are only required when medics are part of the military simulation airsoft skirmishes. In these games the medic scenario plays out whereby players once hit will have to shout for medics or stay on one knee until healed. This is useful if a player is behind cover and shot in the arm for example, a medic will then navigate the field healing players as they go. In this sense, the gun selected needs to be light enough to run with; but heavy enough to defend yourself with. Medic typically carries a small rifle and will be required to have a medic kit for effect. Staying alive: A dead medic means a dead squad and a quick end to the game; so, it is important to stay out of the line of fire! The designated marksman (DM) falls in behind the main fighting squad. Their key role is to pick off the enemy at a distance. Ammo choices are typically a modified AEG rifle. The modifications allow the AEG to shoot further while maintaining a higher accuracy rate by using sights like a reflex or red dot sight. The designated Marksman will call out targets and weaknesses in the enemy’s defences while shooting just behind the main squad. Strategic deployment: Shorter players have a tactical advantage as the designated marksman! Keep in with your squad enough to make sure you don’t take a hit. HOW TO PREPARE FOR BOW HUNTING SEASON. As the bow hunting season draws closer, now is the time to start preparing. Maybe archery piqued your interest during the off-season, and now you want to give it a shot for the first time. Maybe you are already familiar with rifle hunting, but want to put the gun down and pick up a bow and arrow instead. Regardless of your experience, now is the perfect time to get started. Of course, you need to prepare for bow hunting season adequately ahead of time to guarantee the smoothest experience when you go outdoors. Here are some things you can do now so that you get the most out of your first bow hunting experience. Besides a bow and arrows, you will also need a release aid, spare bows, bow sights and hunting gear. If you already hunt using a rifle, you may have the appropriate outerwear. If you’re a complete beginner though, you need comfortable camouflage gear appropriate for the time of year. Typically this will include a shirt, pants, hat, and a jacket or coat. Before fall hunting season begins, find a place to hunt. If you’re a gun hunter, you will probably already have a favourite hunting spot. If so, make sure that there are no restrictions to you hunting with a bow and arrow instead of a rifle. If you’ve never hunted before, you want to seek out public land. While it’s possible to hunt on private land, you typically have to have connections as well as permission to do so. You can focus on this as a goal for later hunting seasons. Hunting with a bow and arrow is not the same as doing so with a gun, because there is a completely different technique to master. 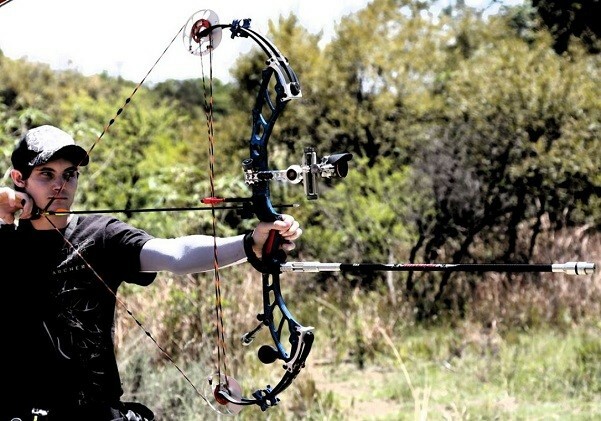 The only way to get good at bow hunting is through practice. If you can, get outside daily and spend considerable time getting comfortable with shooting an arrow. Eventually you can move on to dummy targets, and then actual targets. It may take some time for you to get the kind of perfect shots you’re hoping for, so be patient with yourself along the way. By finding a crew of others who enjoy bow hunting, you get a host of benefits. You and your new friends can introduce each other to new hunting spots, and if they’re more experienced hunters, they can give you pointers on how to improve. While hunting is mostly a solitary experience, going out with a group can also be safer; especially your first time out. After you have completed your first bow hunting season, it’s crucial that you check your gear. Check your bow string for damage, and replace it if you need to. Doing so now prevents any breakage when you’re in the middle of a hunt and need to rely on your gear the most (Basic Bow String Maintenance is important). We teach the buddy system to our kids, yet ignore it ourselves. Criminals are looking for an easy target. They make split-second assessments of the potential resistance they are going to face. Criminals are smart enough to recognize that their chances of successfully overpowering a victim one-on-one are better than if they choose a two-to-one scenario. Targeting more than one person means criminals are more likely to be identified, and less likely to be in control of the situation. It has been estimated that traveling with one additional person decreases the likelihood of being targeted by 70%, and with two additional people, 90%! Action is faster than reaction. Criminals may lurk in darkness in order to get the jump on their victims. Criminals are known to hide behind dumpsters, bushes and cars awaiting an unsuspecting pedestrian. Walk and park in areas that are under streetlights, or away from shadowy places. Trust your gut. Check your surroundings. When you do have to travel alone, which you inevitably will, make sure you minimize the chance for crimes of opportunity. It’s not always possible to have the company of an actual companion, though you may be able to stay in areas that are well populated. Avoid taking shortcuts through alleys or places that have fewer potential ‘witnesses’ or ‘good Samaritans.’ Remember, a criminal’s goal is to offend while simultaneously avoiding apprehension. Criminals often judge books by their covers. Those who wear flashy and expensive jewellery, or show off their expensive (and easily fenced) electronics, attract attention from robbers. To avoid unwanted attention, don’t broadcast that you have valuable items in your possession. A criminal will weigh the risk of apprehension with the benefit of the crime – the greater the pay-out, the more likely a crook will be to take that risk. Don’t Show-Me-the-Money! Or Anyone Else. Pulling out cash in front of potential criminals is obviously dangerous. Yet there are more innocent circumstances that may also lead to increased victimization. Criminals will go places to find targets that they know will be in possession of a pay-out, such as automatic teller machines, banks, casinos, and cash stores. They will follow their victims until the opportunity presents itself to victimize. In addition, it is not uncommon for vagrants to ask for money and steal the wallet or purse of the person who opts to give. Cell phones are a great way to summon help when needed. Years ago, a broken down car meant waiting alongside a road for a police officer, or knocking on a stranger’s door to use their landline. Nowadays, cell phone usage is almost universal. Although cell phones provide a sense of security – they are more useful if they remain charged. Know how to use your cell phone to make emergency calls, and don’t let it become a distraction that keeps you from being attentive to your surroundings. Contrary to depictions on television and in the movies, the law does not require a complainant to wait 24 hours to report a missing person. People who habitually communicate their plans to their loved ones and family members are more likely to reap the benefits of police intervention if something goes awry. Communicate. Let some know your whereabouts, the time you are leaving a given location, any stops you are making, the route you are taking, and when you can be expected home. Providing this sort of information will allow a loved one to call the police and request a welfare check, or file a missing person report if you do not arrive at your destination as expected. It goes without much explanation that keeping your hands free is important in personal safety. Occupied hands inhibit movement and slow reaction times. Being selected as a potential target, as mentioned earlier, is all contingent on the quick analysis of the criminal. Keeping your hands free is also important because, if you’re attacked unexpectedly, you will have a greater ability to block strikes and even counterstrike. The hands are a very are important tool in self-defence. Maintaining focus, especially in a high-tech era, is difficult. Smartphones beep and chirp with every Facebook message, tweet, email, text, phone call, appointment reminder, and phone message. It is enough to distract even the most focused individuals. Resist the temptation to catch up on emails, return phone calls, or update your status when out in public. Wait until you get where you’re going. 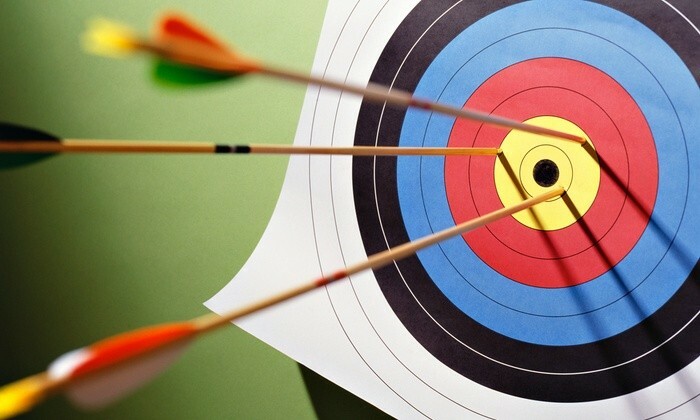 Put away distractions and focus on getting from point A to point B without being targeted. The use of intoxicating substances decreases inhibitions and retards judgment, which is a dangerous combination in the wrong place and in the company of the wrong people. Most research relating to the correlation between victimization of violent crime and alcohol use was conducted in the 80’s and 90’s. These percentages vary widely but reach as high as up to 50% of victims being under the influence of alcohol. These percentages aren’t inclusive of other intoxicating substances, only alcohol. In the end, you have the responsibility to look after yourself. If you practice these skills, you will separate yourself from the mass of plugged in, clueless sheep that make easy prey. But remember, there is nothing anyone can do to avoid all of life’s dangers. Once you have a handle on these skills, add an active means of protection to the list. Make sure you carry with you one of the three self-defence tools described in this post or alternatively contact our local Outdoor & Velocity outlet ( www.outdoorandvelocity.co.za) for our specialised self-defence products! Train with and carry a pepper spray or gun and truly take ownership of your own fate.